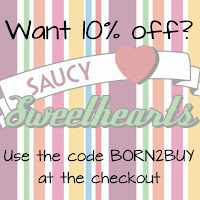 As you may know, I'm a big fan of Saucy Sweethearts, an online store based here in Perth! This store stocks a range of cosmetic and bath products, all at amazing prices! Saucy Sweethearts recently received some new stock and I wanted to share it with you all. Be Delicious: Grapefruit, green apple and white amber all come together to create a refreshing and sparkling scent. Fruity and exhilarating. Cashmere Mint: Refreshing and woodsy with fresh floral jasmine, sandalwood and vanilla. Baby Bee Buttermilk: Compare to the smell of Burt's Baby Bee Buttermilk Lotion. A fragrant cocktail of luscious fruits such as peaches, mandarin, oranges, coconut pulp, bergamot, grapefruit, tropical guava and tangy lemons. Rose Jelly: Smooth and floral while being citrusy and bright! Rose petals intermingles with strawberries and geranium softened by light musky vanilla undertones. These 2oz bags of fragrance will not disappoint! Their scent will last up to three months. No oily or chalky residue either. The solid plastic beads absorb fragrance and hold it so there's no need to worry about them leaving marks! A Divine Intervention: Red raspberry laced marshmallow frosting between layers of white cake, red velvet cake and vanilla poundcake. Amber Romance: A nice blend of sandalwood, amber, musk and vanilla. Pink Sugar Type: Cotton candy, french vanilla, caramel with berry, plum and bergamot and the richness of fig, anise, musk and a touch of woodsy florals. Loaded with sugar granules for exfoliation, the Cleanse Your Soul Foaming Sugar Scrub dissolves slowly and turns into a rich, creamy and moisturising body wash. Take a scoop of this fluffy body scrub and wash away all the dirt and impurities on your skin, leaving you fresh, clean, moisturised and smelling amazing. If you want a rich lotion this is it! Perfect for dry hands or cuticles, this product is great for just about everywhere! 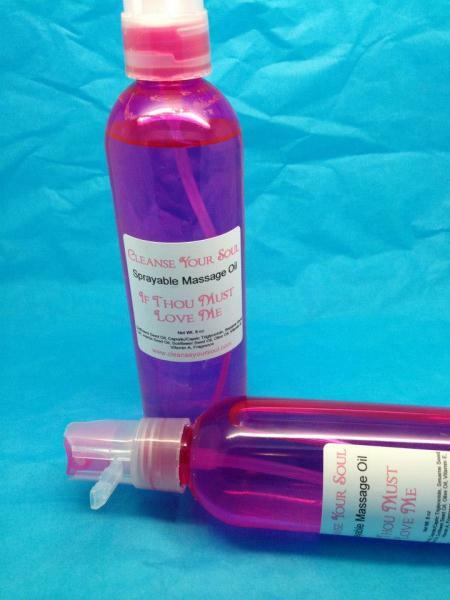 With a flip top spray lid, this is the perfect massage oil. Simply flip the lid, spray the oil and massage away! The oil itself is very light, absorbing straight into the skin. It doesn't stain clothing or linen and, best of all, it leaves you smelling great! I don't know about you but I want one of everything! Oh my gosh, doesn't it all sound beautiful? I haven't yet tried anything yet, but I have my eye on a couple of things. I really want to pick up the Be Delicious Aroma Beads! I love DKNY's Be Delicious perfume and I'd love to put this in my room! Lately I've been really into hand creams also, so I plan on buying one of the Cleanse Your Soul Goats Milk & Honey Lotions to sit on my blogging desk. The only thing is, what scent should I buy the lotion in? I can't choose! I'm thinking Ah, Me Beloved or Black Raspberry Vanilla. So that's everything that's recently been added to the Saucy Sweetheart online store. 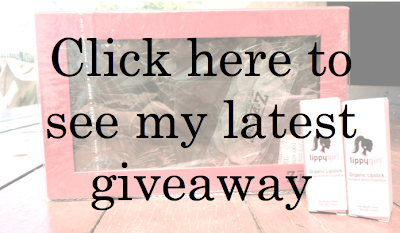 What do you think of the products I mentioned? Do the scents appeal to you as much as they do me? Eek! The Foaming Sugar Scrub sounds awesome! Natasha V i have one of the scrubs and i also got one of the Massage oils. Really lovely products. great prices too. I was very happy with it all.